There are several good reasons to acquire a solar installation, such as the thousands of dollars in value it adds to the home, a reduction in greenhouse gas emissions, and the savings on the utility bill. Since solar panels produce energy, the home draws less energy from the power grid, resulting in a lower energy bill. It is also because of one of the unique benefits of a solar installation. Los Angeles has an incentive program that can save customers a lot of money during each billing cycle. Keep reading to find out how you can benefit from this solar incentive program. The solar incentive program provides a credit on the electricity bill of homeowners who use solar power. It works when the energy provided by the solar panels exceeds the energy supplied by the power grid. The excess energy is then fed back into the power grid. When this happens, not only does the customer receive a lower energy bill, but they receive a credit for the amount of energy they return to the grid. The credit rate for residential solar panel owners is 25 cents per watt. This number may seem small, but a solar panel array can generate up to 1000 watts—or 1 kilowatt hour (kWh)—during the four hours of peak sunlight. It generates fewer watts during lower-light conditions, so over 1000 watts of electricity are generated daily. In a sunny state like California, a solar installation can generate up to 4.5 kWh per day. That is enough to pay off the price of the installation within a few years. Wash clothes in cold water – Heating up the water causes the washing machine to use more energy, and there are other benefits to using cold water. Install a programmable thermostat – This adjusts the temperature of the HVAC system when no one is in the home, saving energy on heating and cooling. Turn off electronic equipment when not in use – Leaving lights on in empty rooms, falling asleep in front of the TV, or leaving the computer on can waste a lot of energy. Use energy efficient bulbs – Halogen incandescents, compact fluorescent lamps, and light emitting diode (LED) bulbs use much less energy than standard incandescent bulbs. Clean or replace dirty air filters – A clogged air filter forces the fan to work harder, using up more energy than usual. Do not leave chargeable devices plugged in overnight – They continue to draw power even after they have finished charging. Unplug them when charging is complete. Keep fridges and freezers full – They are most efficient when filled. Just don’t overfill them, this reduces the airflow and makes them use more energy. Adjust your blinds/shades according to the season – During warmer months, close the blinds on sun-facing rooms to keep them cooler. Open them during cooler months to let the sun keep the room warm. Use proper insulation – Sealing cracks and using proper insulation saves on heating and cooling costs. There are different kinds of solar panels, some more efficient than others. The most efficient ones convert more of the sun’s energy into electricity. However, they are also more expensive. The most efficient solar panels are not necessary for all homes. Using the right kind of panel for your home will maximize the energy production, ensuring that you get the best return out of the solar incentive program. If a house has a large enough roof, then less-efficient panels can be used since there will be enough of them to generate the energy needed for the home. The more efficient solar panels are better suited to homes with smaller roofs since they can produce a high energy output with fewer panels. The LAWDP solar incentive program is one of the better reasons to obtain a solar installation for the home. The reduction in energy costs is a benefit that anyone who has ever been shocked by their electricity bill can appreciate. Anyone interested in the program should be realistic about their expectations. The incentive can theoretically reduce the utility bill to zero dollars. However, that is unlikely for most people unless the energy use of the home is reduced by a large margin. 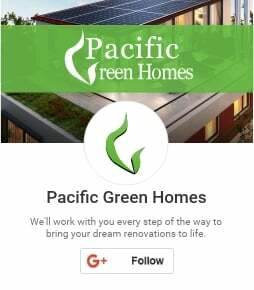 Nevertheless, the incentive program still makes solar power a realistic and attainable proposition for Los Angeles homeowners—especially with Pacific Green Homes providing the solar panel installation advice and services.